Helen's walking initiation began with enforced parental rambles and progressed through the Ten Tors expeditions on Dartmoor as a school pupil to the completion of a 4000-mile backpack across Europe with Paul in 2003-4. Helen is a firm believer that travelling on foot allows you to meet people and see things that would otherwise be overlooked and it's with this attitude that she co-founded the Scottish walker's website Walkhighlands in 2007. Originally from Devon, Helen has gradually been moving north and has lived and worked in the Scottish Highlands since 2005. 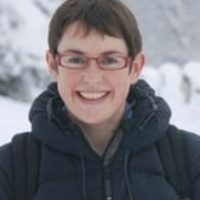 She has co-authored 11 walking books about Scotland with Paul and is passionate about the need to conserve Scottish wild land while developing the local tourism industry to ensure that walkers visit time and time again to discover the huge variety of walks out there.